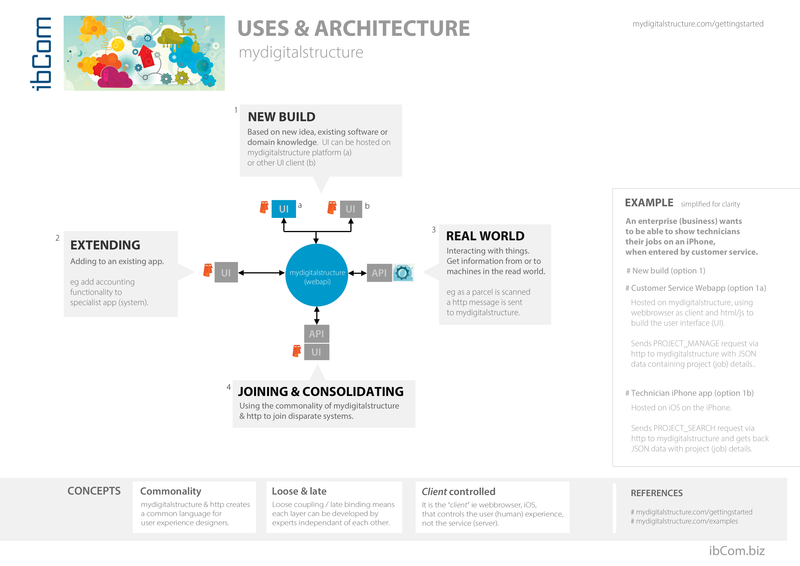 The most common way for data (information) to be added, updated, deleted to, or retrieved from, a mydigitalstructure space is via people using an user-agent (eg web browser), which takes the human actions (touch, click, type) and coverts it the mydigitalstructure language - which is then sent as a http based request. Machines (things) that hold data about the real-world can also work as a "silent" agent, sending data to a mydigitalstructure space or requesting data that triggers a machine action. Activity When a contractor walks past a sensor at a building site, they can be automatically "clocked on"
Machine automation and tracking When a water tank level gets to low, a message is sent to mydigitalstructure. A pump then retrieves the information and starts pumping or an order is placed and a tanker is dispatched to fill the tank.